Lock in a great price for Ramada Bursa Nilufer – rated 8 by recent guests! The hotel was lovely. Breakfast was excellent . The location of the hotel was superb and the staff were so friendly. the location of this hotel is great. very close to two nice malls. Gute Lage in unmittelbarer Nachbarschaft zu Einkaufszentren und Supermärkten, gutes Frühstück. Bett war gut. - حسن الاستقبال من جميع طاقم الفندق. - تفانيهم في العمل والخدمة. - جو المطعم رائق ونظيف. - الغرف واسعة وجميلة ومرتبة ومريحة. - الحمامات واسعة. 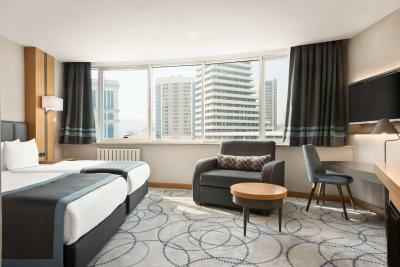 Ramada Bursa Nilufer This rating is a reflection of how the property compares to the industry standard when it comes to price, facilities and services available. It's based on a self-evaluation by the property. Use this rating to help choose your stay! 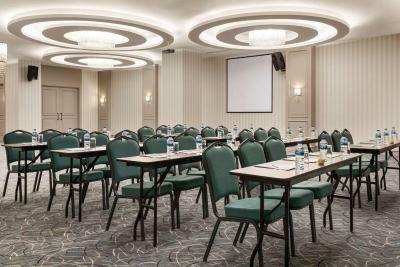 One of our top picks in Bursa.Located in Bursa, within 5 miles of Bursa City Square Shopping Center and 2.3 miles of Timsah Arena, Ramada Bursa Nilufer has accommodations with a fitness center and free WiFi. 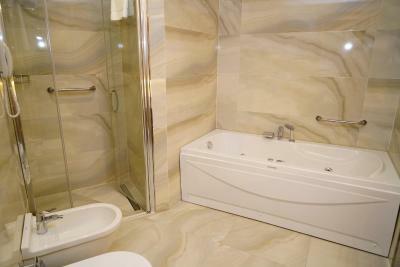 3.8 miles from Ataturk Museum, the property is also 5 miles away from Korupark Shopping centre. Staff on site can arrange airport transportation. Guest rooms in the hotel are equipped with a TV. 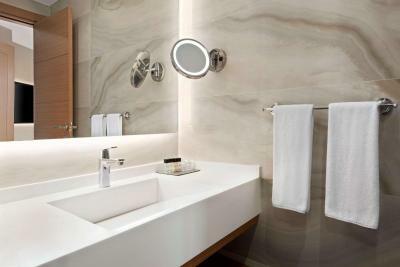 Every room includes a private bathroom with free toiletries, while some have city views. A buffet breakfast is available daily at the property. 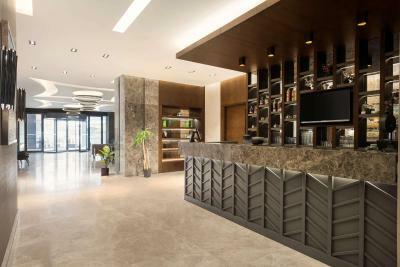 Guests will find a 24-hour front desk, a shared lounge and a business center at the property. Muradiye Complex is 5 miles from Ramada Bursa Nilufer, while Great Mosque is 5 miles away. The nearest airport is Bursa Yenisehir Airport, 43 miles from the accommodation. 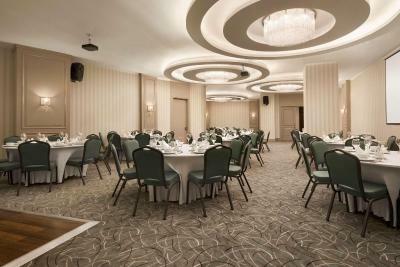 When would you like to stay at Ramada Bursa Nilufer? This quadruple room features a mini-bar, air conditioning and sofa. This quadruple room has a balcony, cable TV and sofa. This quadruple room features a sofa, air conditioning and soundproofing. This quadruple room has a sofa, satellite TV and soundproofing. This suite features a sofa and air conditioning. This suite has air conditioning, sofa and cable TV. 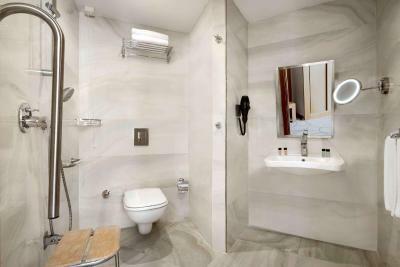 House Rules Ramada Bursa Nilufer takes special requests – add in the next step! Ramada Bursa Nilufer accepts these cards and reserves the right to temporarily hold an amount prior to arrival. Please note that this hotel does not serve alcoholic drinks. there was a construction work going on in the hotel, it was very noisy and can't get good sleep! the price is high comparing to other hotel in the area (especially with the noise). when i called and complained about the noise they said they will fix it, but nothing happened! The A/C is not working well, so very unpleasant sleep experience i got here! Two things i dont like inthe room 1. The carpet is not clean a lot of spots but no smell. Need to change 2. Tha drain of the bathtub was blocked and the water goes slow .